It's Friday. So that means a couple things. Mostly, me being excited about the weekend. But it also means that it's time for a new preview from Wyrd Games. 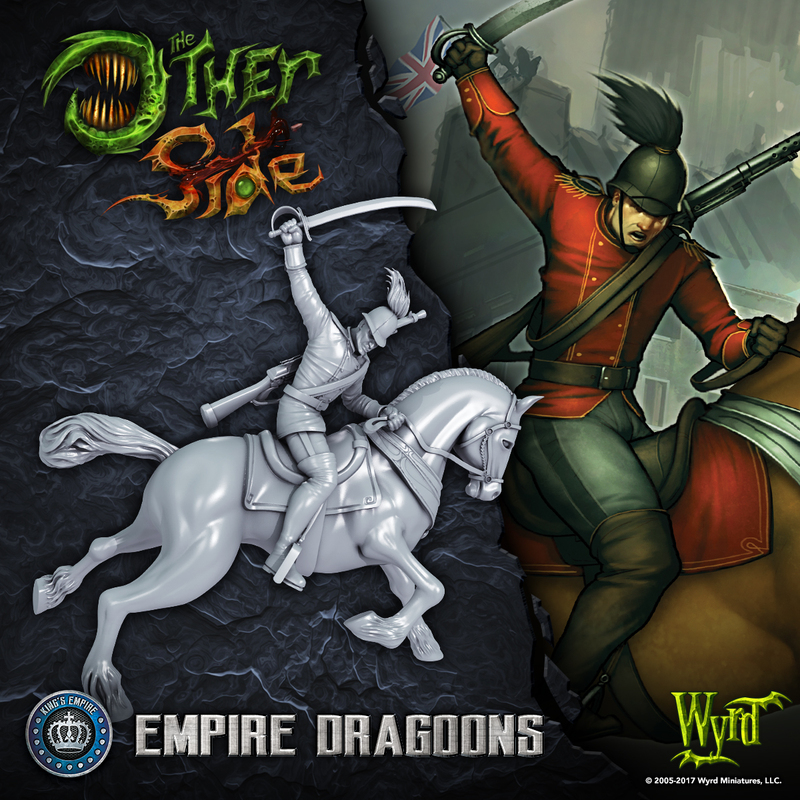 They are continuing their series on The Other Side today with a look at the Empire Dragoons. Because a cavalry charge is still an effective way of dealing with enemies. Friday is here at last! Everyone knows the reason people get so excited for Friday is the awesome Other Side previews they get! Today we take a look at the Empire Dragoon!